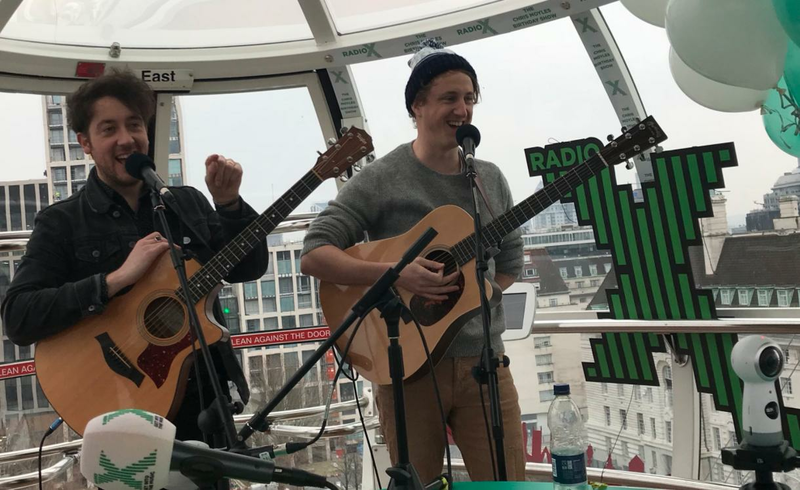 See Murph and Dan perform a very special stripped-back performance of their Cheetah Tongue single on the London Eye. Chris Moyles celebrated his birthday this week with a very special surprise show on the London Eye. Not only was the show packed with special guests in the likes of Warwick Davis, Anne Hegarty, Jake Humphrey and Ricky Wilson, but there was also a surprise performance from The Wombats too. Watch their performance of Cheetah Tongue, which is taken from their new album Beautiful People Will Ruin Your Life album, in our video above. Happy Birthday from Radio X Chris!